Over the weekend I went to Evans for a quick browse. I just wanted to see what was on sale. As usual my size is always sold out. It does not matter what shop I go to the sizes are either too small or too big. Oh well. On a brighter note. 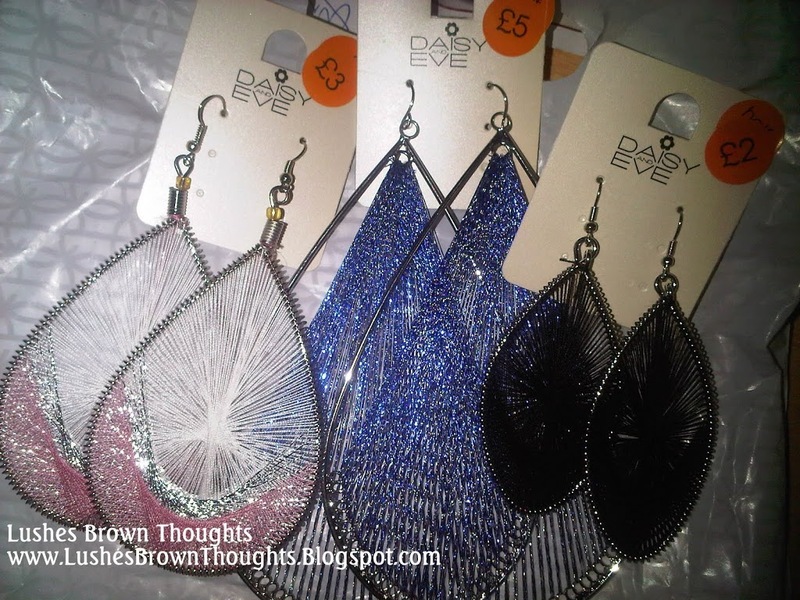 I bought these beautiful earrings for bargain prices. I love thread earrings especially if they look as fab as these. I just do not know how I will manage wearing the blue ones. They literally sit on shoulders. There must be a way.